NVIDIA’s invention of the GPU in 1999 sparked the growth of the PC gaming market, redefined modern computer graphics and revolutionized parallel computing. More recently, GPU deep learning ignited modern AI—the next era of computing—with the GPU acting as the brain of computers, robots and self-driving cars that can perceive and understand the world. More jobs for more people – we are creating and maintaining jobs so more people have meaningful work that is safe and secure. We do this by supporting businesses and workers, developing and growing our future industries, attracting investment to our regions and supporting industries in transition. We also create jobs by leveraging our natural assets, including fostering our visitor economy, creativity and innovation. Making connections – we are connecting Victorians to work, family and recreation. We are connecting businesses to each other and to their customers. We do this by growing our transport services, making them more reliable and accessible and building new infrastructure, across Melbourne and our regions, and across all transport modes. We also connect Victoria to the world by attracting investment and talent, and helping Victorian businesses trade into global markets. Maintaining Victoria’s liveability – we are helping to create places, towns and cities that are accessible, well connected, culturally rich, diverse, resilient and safe. We do this for all Victorians. advocate to improve the innovation capacity of the public sector. You’re developing performance applications—your customers want them to run faster. Take advantage of every last bit of processor power. The tools in Intel® Parallel Studio XE make it easier to boost application performance on today’s and tomorrow’s highly parallel processors for high-performance computing (HPC), big data analytics, machine and deep learning, and thousands of other performance-critical applications. High Performance Computing Solutions are critical to scientific research, industry, and national defence. It is often the sole or major solution for costly or complex theoretical models and experiments. Huawei uses high-performance servers, large-capacity storage, and innovative cluster and device management software to provide HPC. Leap into the future. 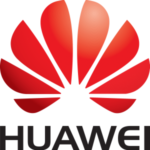 Contact Chris Clarkson, Huawei HPC Business Development Manager, +61 418 552 408, chris.clarkson@huawei.com about Huawei world-class HPC solution today.